A new study finds that simply growing up in a home with enough books increases adult literacy and math prowess. A child growing up in a home with at least 80 books will have greater literacy and numeracy in adulthood. A home library can promote reading and math skills more than college alone can. Growing up in a pro-learning home leads to a lifetime of knowledge-seeking. The average number of books in a U.S. household is 114, according to a just-published paper called "Scholarly culture: How books in adolescence enhance adult literacy, numeracy and technology skills in 31 societies." 114 is a good number. The paper's authors studied 160,000 adults between 2011 and 2015 and found that just having 80 or more books in a home results in adults with significantly higher levels of literacy, numeracy, and information communication technology (ICT) skills. The paper finds, "Growing up with home libraries boosts adult skills in these areas beyond the benefits accrued from parental education or own educational or occupational attainment." The effect was found to be powerful in: Children from such homes who ended up attaining just a high-school-level education "become as literate, numerate and technologically apt in adulthood as university graduates who grew up with only a few books." A reasonable question to ask would be about the effect of the rise in digital books. The study downplays the impact of this trend on its findings, saying, "For the time being, however, the perception that social practice of print book consumption is passé is premature." The reason for this is that large digital libraries, for now at least, parallel large paper ones: "…home library size is positively related to higher levels of digital literacy so, the evidence suggests that for some time to come, engagement with material objects of scholarly culture in parental homes, i.e. books, will continue to confer significant benefits for adult ICT competencies." The study suggests that there are two factors at play here. First is the impact of growing up in a pro-knowledge/learning social environment, since "adolescent exposure to books is an integral part of social practices that foster long term cognitive competencies." 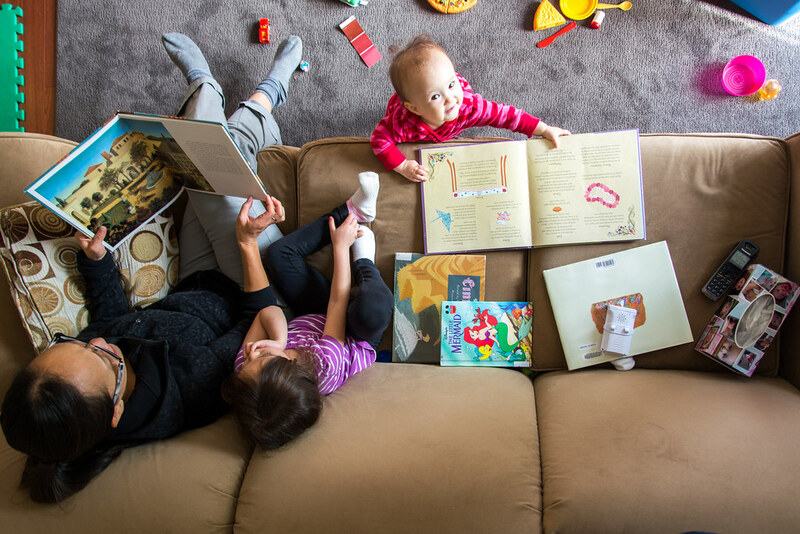 Second, reading often helps individuals develop related skills, and, as the study says, "Early exposure to books in [the] parental home matters because books are an integral part of routines and practices that enhance lifelong cognitive competencies." Moreover, "These competencies facilitate educational and occupational attainment, but they also lay a foundation for life-long routine activities that enhance literacy and numeracy." Since the report found that "university graduates who grew up with hardly any books around them had roughly average literacy levels," it stands to reason that having books around the house is an excellent investment in a child's future. The authors write, "So, literacy-wise, bookish adolescence makes for a good deal of educational advantage." When it comes to numeracy, a substantive home library's benefits holds true, as "its impacts are equivalent to [having] additional years of education." The study's conclusions should be heartening to families around the world unable to provide higher education for their children. Having books around the house can substantially level the playing field in reading and math skills even without the expense of post-secondary time in the classroom.